Can positive feelings help athletes perform better? 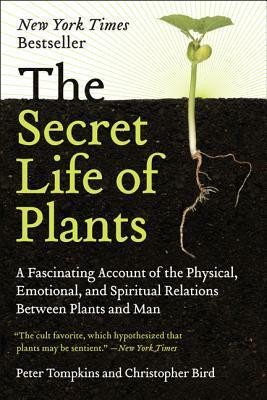 A best-selling book of the early 1970s was The Secret Life of Plants: a Fascinating Account of the Physical, Emotional, and Spiritual Relations Between Plants and Man, by Peter Tompkins and Christopher Bird. Tompkins and Bird catalogued a body of evidence suggesting that plants are conscious beings that can interact with us in strange and wondrous ways. The authors describe the work of Dorothy L. Retallack on how plants respond to various genres of music. Perhaps embarrassingly for our culture, plants that were subjected to a constant barrage of rock ‘n roll tried to escape the “music,” bending their branches as far as possible from the offending sounds. When the plants were serenaded by Johann Sebastian Bach, they bent toward the music and tried to embrace the loudspeaker. Sometime in the mid-eighties, I wrote a short article about an experiment performed by the children at a small local school. The primary school children, ages 5 through 8, have proved the power of love. In an experiment suggested to them by their teacher, Peter MacDow, the children planted five seeds in each of four pots. One pot, the “Dark Plant,” received only water and was kept in a closet with no exposure to sunlight. A second pot, the “Too Bad Plant,” received sunlight and water, but no extra soil nutrients or other attention. A third, the “Everything But Plant,” got sunlight, water, and soil nutrients – all of the normal care a good gardener might give it. The Love Plant got the same care as the Everything But Plant, plus love. It’s 9:30 in the morning. The children are working quietly at their desks. Peter asks them to bring the four plants to an open area on the rug. The children eagerly gather around in a circle. This is apparently something they look forward to. First, the plants are watered, then the Dark Plant is returned to the closet, and the Too Bad Plant is taken back to the window sill. The Everything But Plant is fussed over amid a discussion of the nutrients and other material things a plant needs to grow. Peter: We’re going to focus our attention on the Love Plant now. This is the one we want to give our attention to. I’d like someone to explain what this experiment is all about – someone who’s been centered this morning. Tara, would you explain what the experiment is? Tara: It’s to watch the plants grow and see what they do when you put them in different places, like put them in the sun, and put them in different kinds of soil, and put them in the dark. Peter: None of us can really grow without all those things – the water and the sun and the air and the good soil – and something special is there, too. Peter: Let’s sit up, please. Sit up nice and straight. Now look at the plants. Look at them closely. You can see how well they’ve done. We’ve started these plants from seeds, and they’ve depended on us to take care of them and help them grow. Now, the plants that we gave a little bit to, they grew a little bit. The plants that we’ve given a lot to, they’ve grown a lot, they’ve grown a lot more than the rest of them. What we give is what has helped this plant; and we’ve been giving our love, which is one of the most important things that it could have. So we want to give it some more right now. We can start by sitting up. Close your eyes. Inside of your mind, try to see the plant. Do this: Try to see the plant inside – it’s green, and it’s leafy. 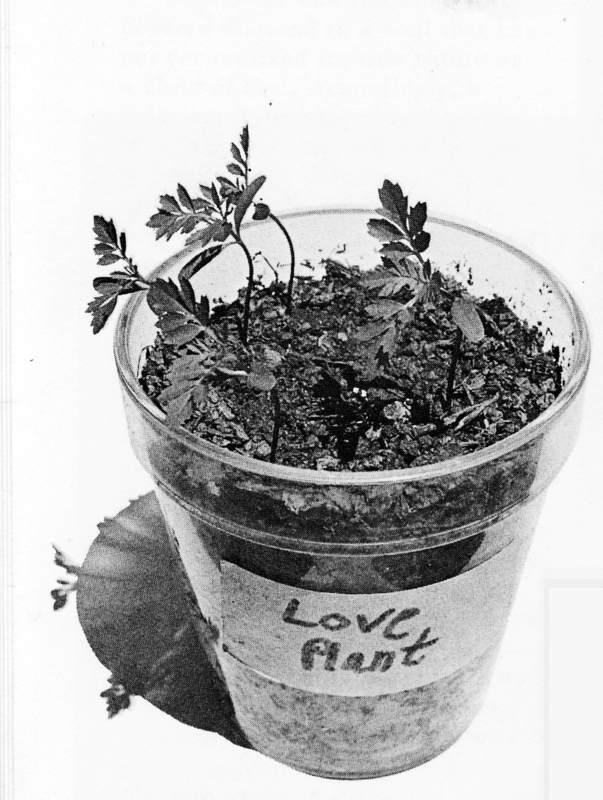 (The children sing to the plant while projecting loving feelings to it.) As we sing, we’re going to try to feel that it’s pulling the plant up, making it great and big, all the leaves are spreading out and branching out and getting big. The blossoms are starting to come out on the plant, and the flowers. The flowers this plant has are its gift to us. We give it love, and it gives us its beauty. Ready? Have the plant in your mind. As we sing, we can feel that we’re bringing it up. We can even bring our hands over it. Here we go, just bringing our energy up as we sing. Peter (followed responsively by the children): Bless this plant. Fill it with Your love. Help it to grow strong. And beautiful. Okay, so plants can apparently feel our thoughts. But are these connections real? Are plants sentient beings? And what do these experiments suggest about the power of feelings to influence our physical health and performance? Sir Jagadis Chandra Bose (1858-1937) was a renowned Bengali polymath, physicist, biologist, biophysicist, botanist, and archaeologist. 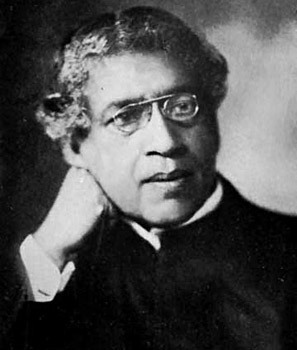 Bose made important contributions to plant science and laid the foundations of experimental science in India – for which we can be thankful, given the major contributions of that country’s engineers to America’s high-tech industry. In one of Bose’s lesser-known experiments, he showed that plants and even “inanimate” metals exhibit a primitive approach-avoidance response when exposed to positive or negative stimuli – for example, pouring acid on a metal bar makes it quiver with agitation. Bose developed a machine that tremendously enlarged the invisible movements of plants and metals. His “crescograph” experiments are described in Secret Life, and in Autobiography of a Yogi, where the author, Paramhansa Yogananda, claims they support the idea that consciousness, not matter, is the underlying reality of creation. If it’s true that plants and minerals possess a limited kind of consciousness, and that they thrive in the presence of positive stimuli and recoil from negative ones, perhaps the same subtle reactions might be an important feature of our own nature, and maybe they can serve as a guide for our training. Not long ago, I posted an article about Bill Aris, whose Fayetteville-Manlius High School girls’ cross country teams have won the Nike Cross Nationals a startling nine times, even though they’ve rarely had superstar athletes on their teams. Bill is one of the most inspiring figures in sports today. His methods are straightforward, and he isn’t shy about sharing them. When other coaches ask how he trains young runners, he reveals that he spends just 20 percent of his time planning their workouts, and 80 percent talking with the kids and finding out what motivates and inspires them. Bill’s main focus is on creating happy teams. He’s raising Love Plants, and the results are clear. Aris’s work with kids is tragically little-known except in the small world of high school cross country. But Sean Achor’s research on happiness has brought basically the same ideas to a much wider audience. Thanks to Achor’s book The Happiness Advantage, it’s now beyond doubt that college students do better when they cultivate happy attitudes. In hundreds of conversations with Harvard freshmen, Achor noticed a quality that set the most successful students apart: they were happy. They were social, and they were engaged with their studies at the level of the heart. They were Love Plants, drawing positive vibrations wherever they could find them. Achor would later confirm that happiness is a powerful advantage for business executives. 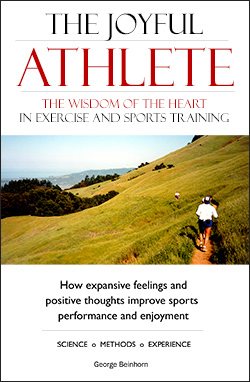 Achor’s work has profound implications for how athletes train. It suggests that cultivating happiness while we train and compete can give us a powerful ergogenic advantage. For the last 30 years, I’ve served as a writer, editor, photographer, and webmaster for a network of small private schools. The Living Wisdom Schools practice the principles that helped the Love Plant thrive. Our students do well in academics. Yet parents who inquire about our schools are often skeptical. They worry that their kids will fall behind academically, because we spend so much time cultivating the kids’ hearts. 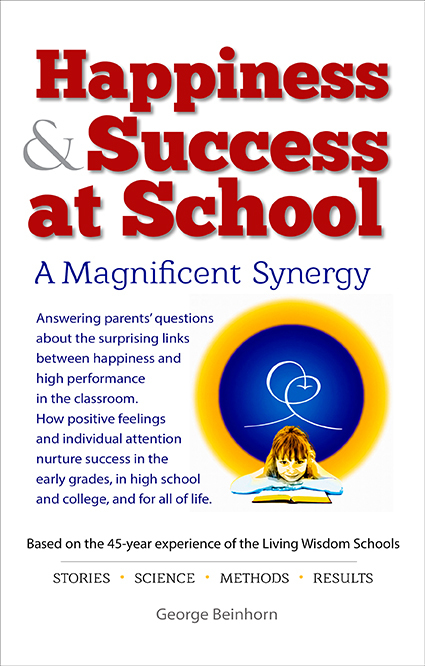 The parents raise reasonable objections – surely we’re successful because our students come from smart, successful families. Surely we accept only the top students. Surely our kids do well because of our fabulous 11-to-1 student-teacher ratio. And surely our system won’t help kids compete when they enter the harsh world of public high school. These objections are half-true. It’s true that many of our kids have highly educated parents. And it’s true that our student-teacher ratio is as low as 8 to 1 in middle-school math class. But the truth is, we accept many students who are academically and even emotionally challenged. What has this got to do with sports training? A great deal, as it happens. For proof, we need only turn to Tony Holler, an independent-minded track and field and freshman football coach at Plainfield North High in the greater Chicago area. As I write this, Tony’s freshman football teams have won 39 games in a row. 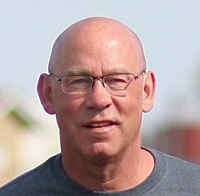 He’s coached many Illinois state track champions, and he’s a successful teacher of honors chemistry. Tony’s articles thrill me, because they’re about the Love Plant. Tony has proved that the Love Plant philosophy works in the gritty world of high school football and track. Tony’s latest article, published this morning, surpasses all the others. If you’re even a little bit interested in the education of young kids, I can unhesitatingly recommend 10 Ways to Improve Schools Using Coaching Principles. I won’t steal Tony’s thunder by repeating his ideas here. I’ll just urge you to do yourself a favor and read the article. This website and The Joyful Athlete book are about exploring the notion that life has meaning – that life’s meaning is reflected in sports, and that the principles that work in sports can bring us success in life, and vice versa. Following these principles will give us the two things all people have craved since the dawn of time: ever-increasing happiness, and freedom from suffering. In sports and life, expansive attitudes of love, kindness, compassion, and joy improve performance; while negative, contractive attitudes and feelings destroy happiness and impede success. Sports training is a wonderful opportunity to test these ideas and find out for ourselves if they work. Here’s a personal case study that shows how we can find meaning in the everyday experiences of sports training. It’s my hard workout day. On the way to the gym I push the pace on the bike just a little bit past what’s comfortable and fun. At the gym, I deadlift what’s safe and reasonable. And then my rational mind takes over and tells me to add 20 pounds … because it’s what I should do if I want to make progress. Never mind that my heart isn’t in it, and my body has no real enthusiasm for doing more. Riding home, stoked on raw emotion and chia bars, I push the pace a smidgen past what’s reasonable and joy-enhancing. For the next two days I’m a miserable poop, tired and sore because I went a little bit too far over the hill and got toasted. In short, I failed to feed the Love Plant. I did a stupid, counter-productive, contractive thing – I overtrained just enough to put my ancient body in a hole that it took several days to climb out of. Was it worth it to please my ego and accommodate my rational mind by doing what was perfectly logical and satisfying to my left brain, and perversely satisfying to my self-image? Was it a Love Plant thing to do? Whenever I read one of Tony Holler’s articles, my world stops. I’m thrown into a tizzy, because I urgently need to tell people what Tony is saying. Tony’s 30-plus years of teaching and coaching have persuaded him that schools today are doing just about everything backwards. In education, as in sports, the worst mistakes generally begin with a tiny brain fart. Instead of cultivating the Love Plant, we put it in the dark, or we singe it with negative, discouraging thoughts. Or we simply ignore the quiet instinct of our hearts that would tell us what we ought to be doing. 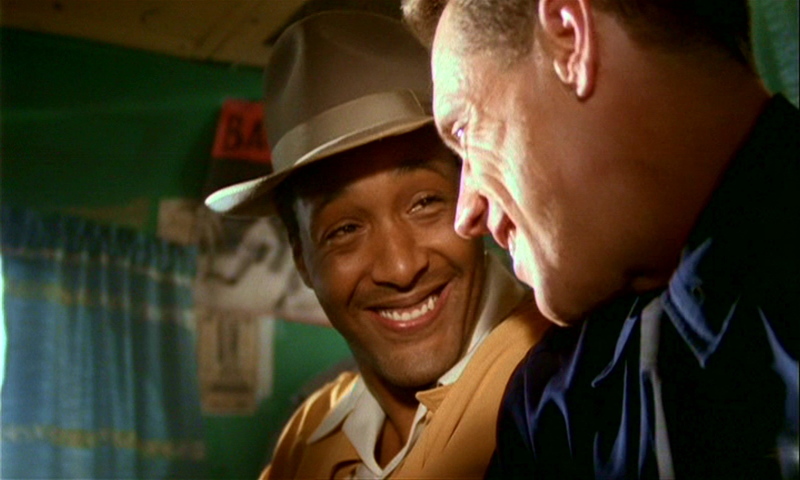 Josh Exley, the baseball-playing alien in the best of all the X-Files episodes: “The Unnatural” (Season 6, Episode 9), written and directed by David Duchovny. Arthur Dale: You certainly have a knack for turning chicken salad into chicken spit. There’s a current that runs through Tony Holler’s writing – a constant theme that the right thing in sports and school and life is to engage with love and never force-feed your plant with raw will power and barren ideas. In school, the inborn excitement of math or science or history or English, beautifully taught by teachers who are free to be creative and independent and strong, is what will give kids love and enthusiasm and enable them to thrive. In my long life (I’m 74), I’ve seen that small steps have magical power. The best relationships are created 15 minutes at a time. Fitness is attained most healthily and reliably in tiny increments. The fastest way to improve in anything is by taking small steps with love. A week after my crapulous workout, I returned to the gym, and a sure instinct told me that my body was ready to work hard. I deadlifted a weight that challenged my body but felt just right. How did I know it was right? Because the thought of lifting heavy weights opened an inner window to a quiet, trickling joy. I challenged myself with bent-over rows, lifting heavier than ever, and I knew it was all right because it gave me a joyful happy feeling. 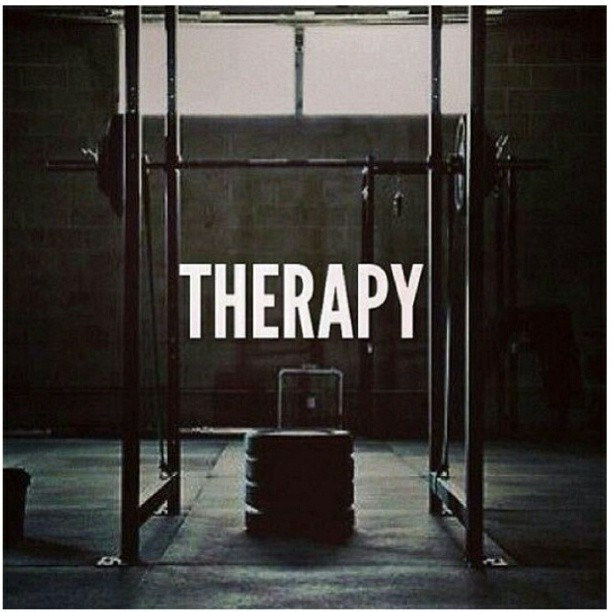 Between sets, I sprinted hard down an empty hallway. And because it felt joyful I knew it was perfectly okay. Cycling home, I rode like hell’s bells, blazing down Park Blvd while singing very loudly to prepare for a forthcoming concert. The next day, there was no hint of the deflation I experienced the week before. Positive feelings are given to us to help us perform. A calm inner feeling will tell us if we’re doing the right thing. (Just beware of raw emotions.) Feed your Love Plant, and it will make you happy. Here’s Come Gather Round, one of the songs I practiced while riding home. I include it because it’s talking about the Love Plant. Let joy sing out today! Can make the darkness run. Mm-m-m greet the rising sun! And you face its friend! Mm-m-m and you face its friend. Mm-m-m cheerful if you’re glad. Joy will be our gun!